Each year, the SGC makes goodie baskets and delivers them to community shut-ins on Valentine’s Day. Please start collecting items for the baskets and bring them to the next meeting scheduled on Tuesday, February 11th, so we can stuff and deliver them. The following is a list of suggested items: stamps, Post-it-notes, notepads, pens, pencils, crossword puzzles, sugar-free cookies and candy, crackers, lotion, shampoo, soap, anti-bacterial soap, wipes, toothpaste, Kleenex, Chapstick, envelopes, magnifying class, small address book – or – any other item you feel is appropriate. Categories: Special Events, Uncategorized | Permalink. Can we feed Texas and the world with local food? Joel Salatin, alternative farmer, will talk about building a local food system that works. He will be providing a presentation and workshop to help the homeowner, food gardener, farmer, rancher, land owner and landscape professional get more value from their practice. See below of the schedule. 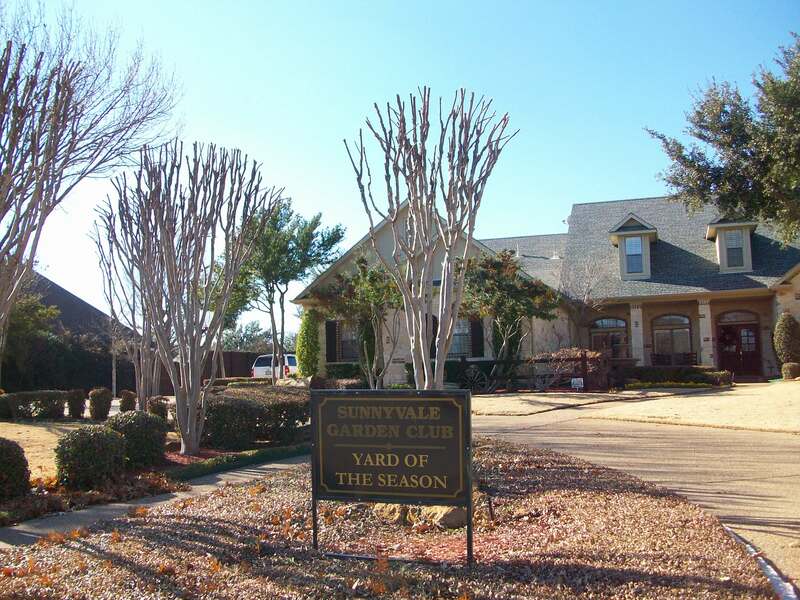 The yard of the month for December was at the home of Steve and Carol Tipton. The home is located at 105 Longhorn in the Meadow Lake Division. Their yard showed a lot of creativity. Categories: Yard of the Month | Permalink.